What is a USB Microphone? In short it is the easiest way to make high quality recordings on your computer. 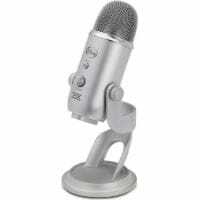 A USB Mic means you don’t have to buy lots of equipment, and it is very easy to set up. USB Microphones are portable and cross platform so if you buy one you should be able to use it on your PC, Mac, iPad, and laptop with minimum fuss. What is a USB microphone? It is the most cost effective option for getting a decent recording onto your computer, tablet or smartphone. It is literally a microphone which contains all the wiring necessary to simply connect to a USB port and start recording. And often a USB mic will also have a headphone out, so as well as recording, you can listen directly to the sound through headphones. Now you know what is a USB mic, then next question is: which is the best USB microphone? Our ultimate guide to USB mics shows all the most popular mics in action. You can listen to them, and see video reviews of each one in turn. If you want to know how good a USB Microphone can sound, click the audio buttons below to audition four of the highest quality USB mics currently available. Click here to see and hear more USB Mics in action. What is a USB Microphone Best for? 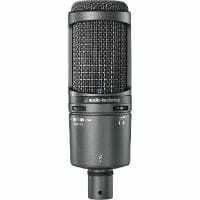 Apart from being a very good way of capturing vocals and performances of acoustic instruments etc, the USB Mic is particularly good for all the following too: video voiceovers; podcasts; internet radio; skype and other forms of chat; hypnotherapy tapes; conferences; interviews and so on. 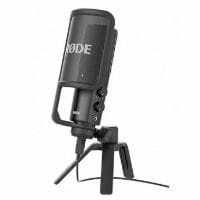 If you want to make a good quality recording and you do not have the budget or time to buy all the separate components you would need to set up a small home studio then a USB Microphone should be on your shopping list. Furthermore, a USB mic is ultra portable so you can take it anywhere with you. And with the right connector, you should also be able to use it with your iPad. What is the alternative to a USB Microphone? You can spend a lot more money and buy separate components (a quality microphone and an audio interface with input for a microphone) However this will be much more expensive option than a USB microphone. Or you can buy a dynamic microphone and plug it straight into your mic port on your computer (if indeed it has one). 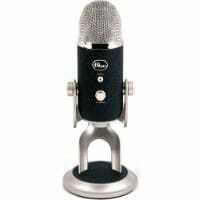 This will be cheaper but will produce a poor quality recording compared to buying a USB microphone. If you do want a more sophisticated set-up then we have lots of other posts about setting up a small home studio. The best entry level alternative to buying a USB microphone is to buy an all-in-one recording studio package. This is a pack containing an audio interface, microphone and headphones. Everything you need to start recording. More expensive than a simple USB mic, but much more versatile. How does a USB Microphone work? The USB Microphone is a quality microphone with a “built in” interface so that you can plug it directly into your USB port. You bypass your computer’s built in sound card for recording so the result is much better. It also has the necessary amplification so the signal is at the right level. Do I need a sound card as well? You do not need to buy an additional sound card when you purchase a USB microphone. Your computer will already have a built in sound card for playing back sound. The USB microphone contains the equivalent of a sound card for recording (and some will also be able to play back). So depending on which USB microphone you buy, you will either record with the USB microphone then play your recording back through your computer’s soundcard OR you will plug headphones into the USB microphone (if it has a headphone socket) and then you can both record and playback through the mic. What recording software do You need? Many USB microphones come with recording software. If you just want to make simple recordings on your PC or Mac, then we recommend you download Audacity. In this software you can easily record several tracks, edit and mix. If you want to do more then you can use a USB microphone with any recording software. Be aware, though, that if you buy a USB microphone without a headphone socket you cannot ‘direct monitor’. You should always choose a USB microphone with headphone output if you want to overlay vocal tracks and listen to yourself at the same time. If you are on an iPad then Garageband is a great recording app, and there are plenty of others too. All will work with your USB mic once it is correctly connected. Will a USB microphone be good enough for your recording needs? A USB microphone is a great way of getting started with recording on your computer or tablet. 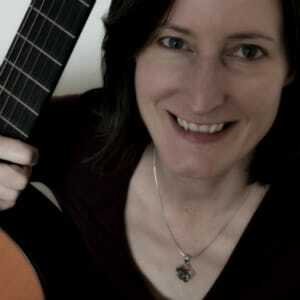 It is so easy and gives such a great result for the money that most people are delighted with their USB mic. If you know right now that you want a small home studio set up and you want to record several instruments, hook up keyboards and other hardware, then you should definitely be looking at buying an audio interface instead. However for recording a solo vocalist, or for all the other uses listed then a USB mic will almost certainly suit your needs. Most importantly you will not be overwhelmed, as it is so simple, that you will actually achieve a great recording result within minutes. And even if you choose in the future to upgrade, the portable USB microphone will always be a useful bit of kit to have available. Hi, can I play music on my pc, and voice over at the same time whilst recording in audacity, as you say a USB mic doesn’t need the PC soundcard? ps. I want to do a DJ music mix. Hi Dave, I hope the answer to your first question helps you out, if not, then get back in touch! All the best. Hi Dave, you will need to import the track into Audacity, and then you should be able to create a vocal track. If you have a USB mic that has a headphone output then you can directly monitor what you are doing, but if it is just a recording microphone then you will experience latency if you try and listen to your voice at the same time. In Audacity you can choose the input device and the output device if your USB mic has a headphone out, then choose that as the output. But if it is just a recording mic, you will need to use your PC soundcard to listen to the results.